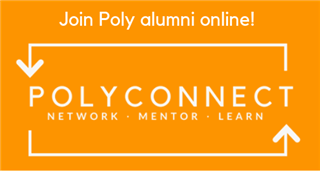 Sponsored by the Alumni Association, the PolyConnect program connects members of the Poly community who share common interests and who can offer advice based on their college experience and careers. Young alumni and current students are especially encouraged to utilize PolyConnect for networking opportunities. Join the NEW alumni network! PolyConnect lunches offer Upper School students the opportunity to learn firsthand about a particular profession over a casual lunch. Alumni discuss their personal career experience, as well as their field or industry in general. Speakers provide a brief history of their path since leaving Poly, along with a snapshot of a typical work day, and students are invited to ask questions. Lunches are held on campus several times throughout the school year; all Upper School students are invited to attend. The program aims to introduce students to a wide variety of industries. Previous lunches have focused on specific career paths within the fields of medicine, entertainment, science, art and design, law, and business.